It turns out we’re not the only ones who can tell how a friend’s love life is going from their Facebook statuses – the social media site knows too. 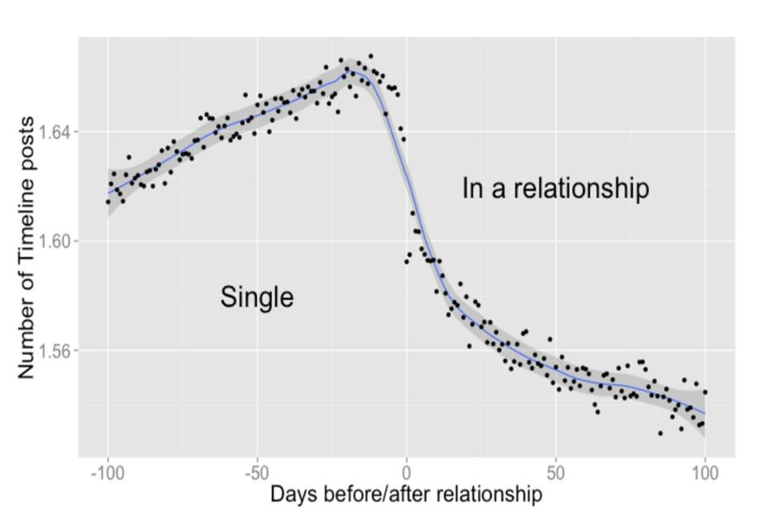 In fact, just by looking at how much you post Facebook can tell whether you’re single, in a relationship or somewhere in between. 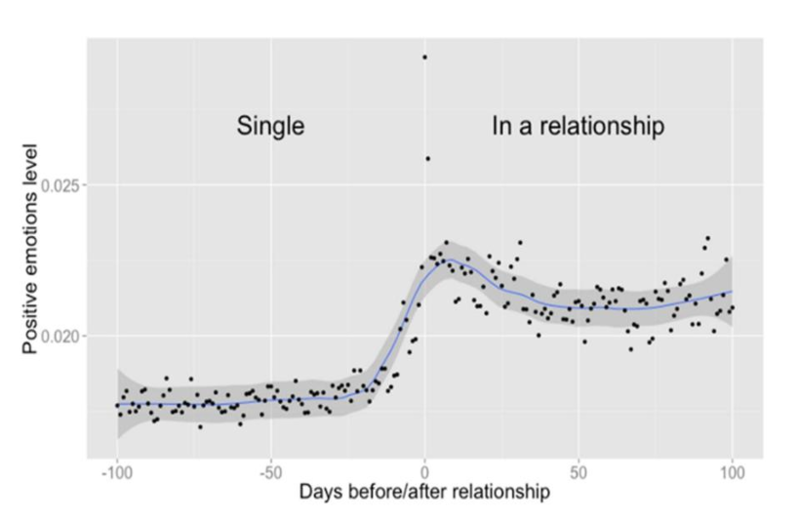 The company’s data science team looked at a group of people who’d recently started a romance. How did they know? The users had just taken the massive step of changing their status from ‘single’ to ‘in a relationship’. They took the date of this change as the start of the relationship and studied what had been going on with the people’s profiles before and afterwards. For 100 days before the monumental occasion, status updates were more and more frequent. There were timeline shares between the couple, peaking on the day the relationship started. After that things died down a little, with a low point after 85 days. The key period fell 12 days before the all-important ‘in a relationship’ moment. On that day, people tended to post 1.67 times a day, which fell to 1.53 times once the pair had been an item for 85 days. The thinking is that after the huge excitement of finding someone special, and the flurry of gushing posts, couples start spending time doing things together and don’t feel the need to be so active on social media. What’s posted tends to change too. So although people aren’t posting as much when they’re in a relationship, the things they do share tend to be more positive. On the first day of the relationship in particular there tends to be a lot more positive language used – so maybe people really do gush more in the first flushes of love. Of course not everyone uses social media to wax lyrical about their other half. Some are more about making people laugh, such as this mum who recently shared a cheeky trick for getting her kids to bed early on New Year’s Eve.